Las Vegas is rarely recaptured like this! "Frank sounds more like Dino than anyone in Vegas"
But he's not an impersonator! 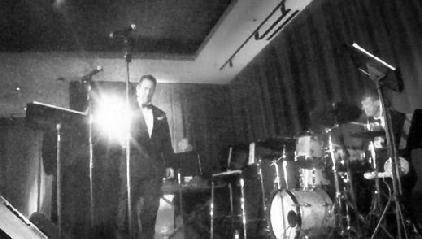 Swingin' Rat Pack type, retro-crooner Frank Lamphere is available to perform with his trio, 5 piece or 17 piece big band in Las Vegas and surroundings. Many insist that Frank sounds more like Dean Martin than just about any singer in Las Vegas (when he wants to). 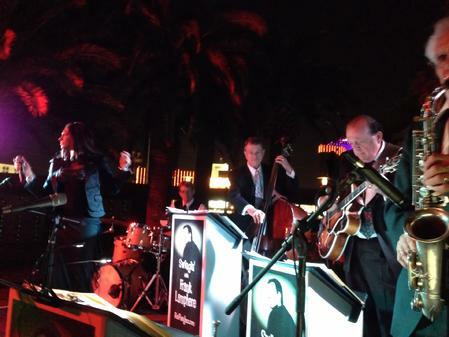 No usage or reproduction of any kind is permitted without prior written consent from singer Frank Lamphere, at Pack Jazz, Frank Lamphere.com and this Las Vegas Nevada Rat Pack tribute artist and Dean Martin Tribute for Corporate Entertainment, Casinos, and Special Events serving: Chicago, Palm Springs, New York, San Francisco, Las Vegas, Atlantic City, Los Angeles, St Louis, Phoenix, Cincinnati, Indianapolis, Minneapolis, Des Moines, Milwaukee and cities nationwide. All content and images on this website are copyrighted. All Rights Reserved.